What? you may well ask are we doing with a christmas card at this time of year? Either it's a month late, or 9 months early! lol!!! Never fear, I'm just here to explain. I hope that grabbed your attention. It's just to illustrate what you can expect if you joined my Technique Club. Registration is now open. Check out the website under Monthly Clubs. We are a friendly group and would love you to join us every 4th Tuesday in the month in the evenings from 7.30 pm and finish no later than 9.30 pm. You try a technique and transfer that into a hand-made card either to keep as reference for yourself, or you could send it to someone special. You get to learn a technique and make a card using that technique . The other one is filed away and kept for your future reference. Here we are dry embossing with the framelits itself. 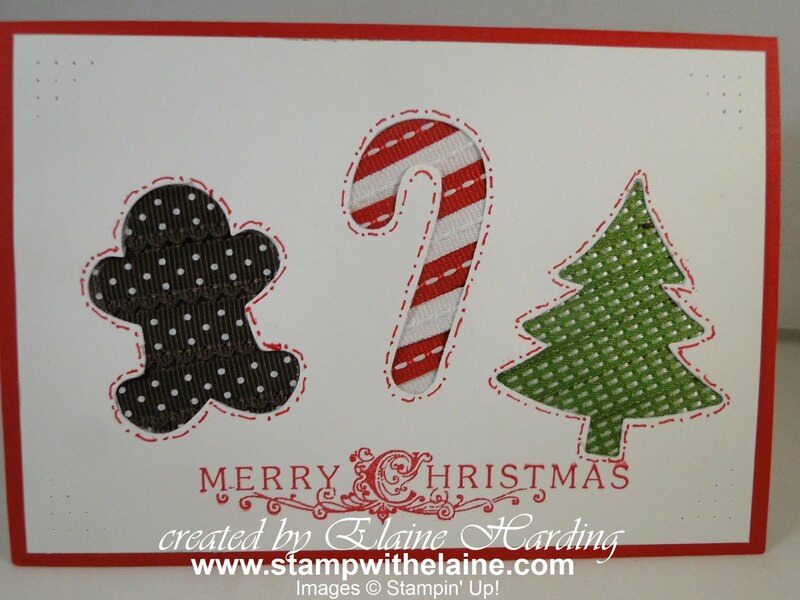 Embossing multiple layers which appears raised and there are several of them! We also try a second technique related to the first technique. Both techniques will have notes to remember how you do these techniques. Lastly, we tackle a 3D object, time permitting. I've used the large heart punch to make this interlocking box - the inspiration came from Teri - thanks again Teri. Every month presents a new challenge. Every month, one person will get their turn to receive the Hostess Benefits of up to £25 to spend as she wishes. Look at the terms and conditions under Monthly Clubs. Once the cycle has finished, we take a sabbatical to recharge those batteries and start all over again in September, 2o13. I am based in Fleet, Hampshire, so if you are within striking distance, email me elaine.harding@googlemail.com and let me know if you'd like to join and I will send you more details. Check out my blog - just click on "Monthly Clubs" at the top. New dates have been added.